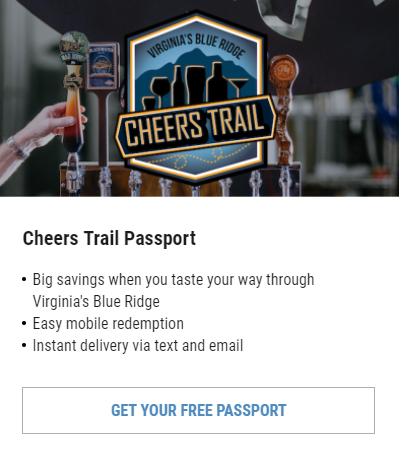 Virginia’s Blue Ridge experiences an average of about 20 inches of snow each winter, and we love to enjoy a great day of sledding when it comes! If you find yourself visiting when our area is powdered white, please come join us for a grand time. Here are 10 of the best public spots to bring the sled for some downhill fun in the snow in the Roanoke Valley in Virginia’s Blue Ridge. Fallon Park includes a one-mile cyclocross course that proves to be quite popular for time trials and races. 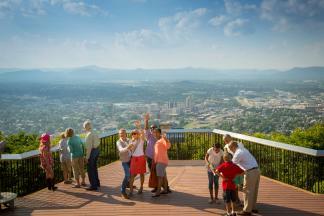 It’s also an end point for the Roanoke Valley Greenways. 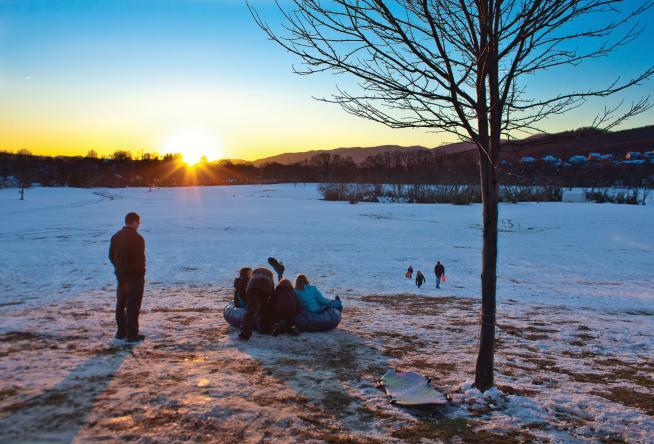 In the winter, however, the park is one of the key sledding destinations for Roanoke. Many short slopes and even a few longer ones make sledding a fun adventure for all ages. Several parking areas are available. Be mindful of park traffic when sledding. The corner of Memorial and Wasena Avenues is a sloped area of Ghent Park. You’ll want to be careful sledding here as there are trees and a parking lot at the bottom of the short hill. This is also the entry point for the Ghent Hill Park Trail, part of the Roanoke Valley Greenways. The parking area off of Academy Street is your sweet spot for accessing the hill at the golf course. Plop right down and enjoy the ride! Come back in summer for a go at the par 34, nine-hole course. Access Fishburn Park from Brambleton Avenue. The parking lot near the tennis court and Murray Run Greenway is where you’ll start and the bottom of the hill in front of you is where you’ll end. Watch out for the playground! Thrasher Park has a really nice knoll right in the middle of it, perfect for sledding down either side. Park in the lot off of Gus W. Nicks Blvd. and trek out past the baseball diamond to begin your adventure. The home of Roanoke Disc Golf, Greenfield is elevated above the road and surrounding neighborhood, but maintains fairly gentle slopes. Park along the circle and choose a spot from which to launch. Be sure to take photos; this is beautiful countryside. This park in Roanoke&apos;s historic Old Southwest neighborhood is a popular place, thanks to its dog park, tennis court, fountain, and other opportunities. In the winter, however, the shallow slopes offer gentle sledding for little ones, though a good running dive on a sled delivers a fun, quick burst for the older crowd. Mud Lick Creek Greenway runs through Garst Mill Park and you’ll want to be careful of anyone trekking through. 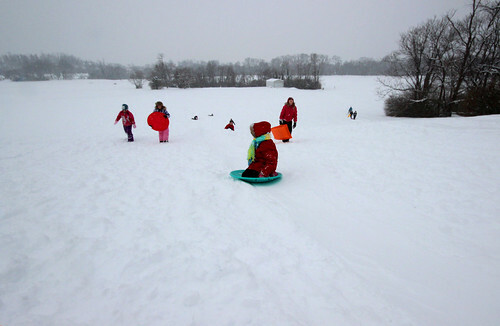 The hill at the parking area of Garst Mill Park is a great place to start sledding. In fact, it may be the best place in the park. To the left, just past the tennis courts, is a parking area at Walrond Park. Right before you is a nice hill to sled down. If you follow the path around to the left, you’ll find a few more slopes for sledding. Enjoy! Behind the basketball court, you’ll find a great, short hill for sliding and sledding. The flat in front of the court and toward the playground is great for snowman making, if you’re feeling creative. Snow fun seekers should use caution when driving to any of these destinations. Please remember to be mindful of sledding in the proper direction so as not to cross roads. Be sure to share your fun snow adventures with us on social media using the hashtag #BlueRidgeDay. We look forward to seeing all the action!